Sweet people at the independent, local Carmichael's Bookstore in Louisville (wonderful place - please buy their books!) 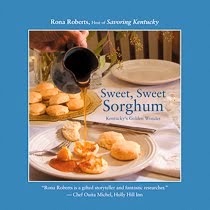 shepherded Sweet, Sweet Sorghum into the handsome January-February 2012 edition of Edible Louisville. Read the well-written piece here!